My state of South Carolina is getting ready for a BIG event. This month, a total solar eclipse will take place. Our home is within its 70 mile-wide path and the very best viewing metro location on the East Coast (Columbia) is just one hour away. For 2 minutes and 36 seconds Columbia will experience 100% total darkness. This event is so remarkable that roughly 1 million visitors are descending on this city of 134,000. People say that this total eclipse of the sun is a “life changing event” and that it is impossible to describe. However, I am still fascinated to read about what we can expect. The scientists report that the sky around the sun will grow dark very quickly. Stars and planets will pop out of nowhere. Daytime birds will grow silent. Cows will head back to their barns. Nocturnal animals will begin their “nighttime” rituals, tricked into believing that this is their domain. The temperature will drop 5-15 degrees suddenly. Pretty exciting (and unsettling) stuff… for the two and half minutes of total darkness we are allotted. But, when light returns just minutes later, I hear it is the most glorious of daybreaks. This got me thinking about the most momentous solar eclipse in history. 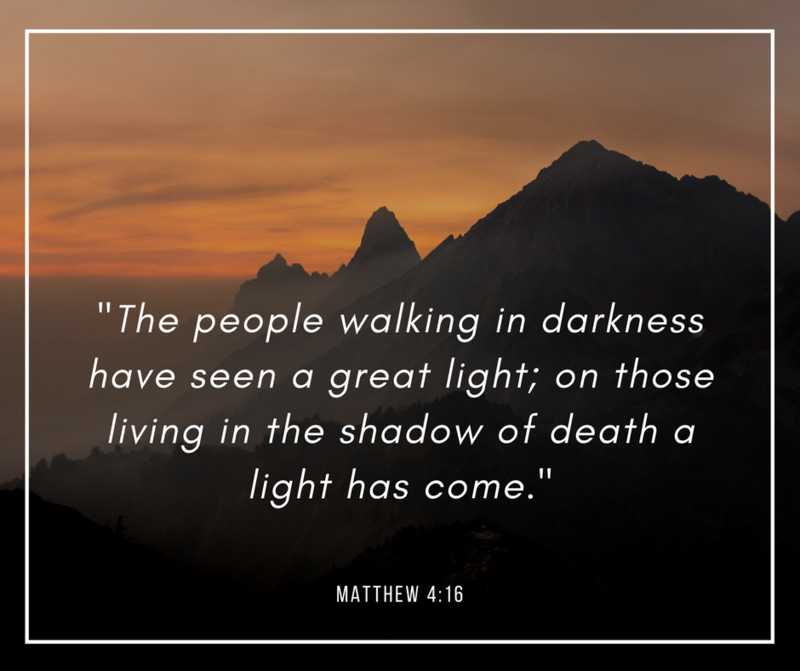 In the Gospel of Luke, we read that when Jesus hung on the cross for the sins of mankind a great darkness enveloped the whole earth. Right in the middle of the noon hour, when the sun was at its highest point, it was opposed and overshadowed. Night intruded on the day in the most unnatural way. Cold. Black. Silence. For THREE long hours. Throw in some earth shaking and it must have been terrifying for those ancients who were there to witness it. At just the moment when it seemed that light could not be smothered further, the “Light of the World” was snuffed out. Jesus cried out in a loud voice and gave up His spirit. The silence, the chill, the darkness was only an exclamation point on what appeared to be the loss of all hope. But, in the midst of all that darkness an incredible event was taking place in the temple. There was the sound of tightly woven fibers separating and tearing. It began at the top of the thick curtain and descended down to the feet of men. It was the sound of hope – God ripping open the Holy of Holies for us all. The Light of Men spilling out into the streets for Jews and Gentiles alike, no longer constrained by the veil or held within the temple. The fulfillment of the promise for the continuous and everlasting presence of God among those of us who would believe in His Son was written into history.